Dark Souls: Prepare to Die Edition was delisted from Steam on May 8th, 2018. The game’s store page and title remain but the purchase link redirects to Dark Souls: Remastered. The remastered version was released on May 23rd, 2018 on Steam, and also came to PlayStation 4, Xbox One, and Nintendo Switch. 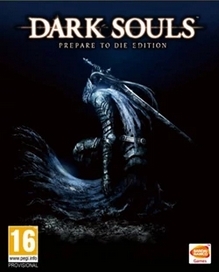 According to Silicon Era, “people who own [Prepare to Die Edition] will still have it and be able to redownload it, but new customers will instead be directed to Dark Souls: Remastered. Should someone own the previous edition, they will get a 50% off discount on a Steam purchase of Dark Souls: Remastered”.